For Lydia Paradysz, it’s a regular tradition to spend a quiet morning rollerblading through the neighborhood alongside her husky, Bruce. It gives her the opportunity to reflect on the journey that has taken her to where she is today. A standout senior in Concordia University Ann Arbor’s family life program, Lydia is a whirlwind of passion, focus and fun. As with her morning routine, Lydia’s story is uncommon. She faced uncertain terrain and unforeseen turns that even she and Bruce couldn’t easily rollerblade through. Now, as one of two students out of hundreds of applicants with a prestigious child life internship at Mayo Clinic Children’s Center, Lydia has learned that, for her, true success started with real compassion. Some may think that Lydia’s excellence in such a competitive field was bound to happen. After all, she grew up on medical terminology, health diagnoses, and hospital stories. Day in and day out, she saw her mother, a pediatric intensive care nurse, impact the lives of patients. From the beginning, Lydia knew that she, too, wanted to have a significant influence on others. It was during that breadth of time when Lydia’s friend was diagnosed with cancer and underwent treatment at C.S. Mott Children’s Hospital in Ann Arbor. Lydia’s first year of college, her friend passed away. Lydia saw her friend’s strength and, even more, she saw the hurdles her friend’s family had to go through as they learned how to be supportive and be supported. 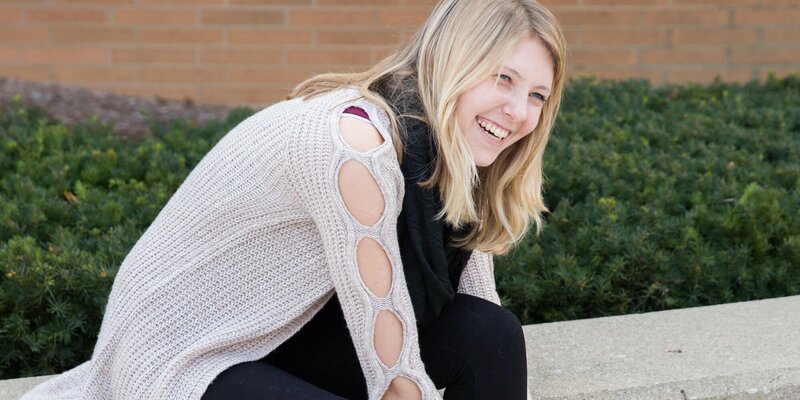 The experience led her to pursue the family life program’s child life specialist track at CUAA, for students interested in being emotional advocates for families in medical crises. I often reflect back on what [my friend] taught me and how I felt through her illness. Seeing and hearing all the things she went through, all the treatments and procedures, and how she was still so strong through the process impacted my decision to go to CUAA.